Through my research into the reuse of a residential group at San Bartolo, I have developed an interest in two main areas. The first is in archaeological science reflected in two papers that I am writing. The first reveals how the analysis of chemical residues from plaster floors has proved successful in determining activity areas and the function of a structure. My second article discusses how the use of isotopic ratios of strontium in ancient human teeth enamel can give direct evidence of human mobility. 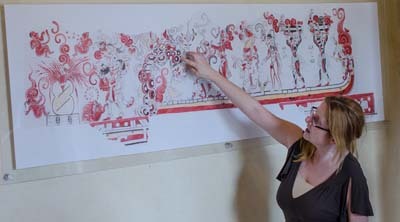 My other area of interest is in the motivations behind the reuse of ancient structures, tombs and objects and I am submitting an article to Ancient Mesoamerica that discusses how the reoccupation and reuse of certain locales can reflect habitual practices and belief systems, passed through generations of people inhabiting a landscape and perceiving their surroundings. Whilst undertaking the research for my thesis I was intrigued to read about reuse from other areas of the world, but also frustrated at the lack of information in the archaeological literature regarding motivations behind such acts. The few books pertaining directly to reuse were edited books limited to site examples from one region. Therefore, I will address this phenomenon globally, in my book, The Archaeology of Reuse: Methods and Motivations (University of Colorado Press), focusing on the reasons behind reuse and how much it can tell us about the society, memory and material culture. 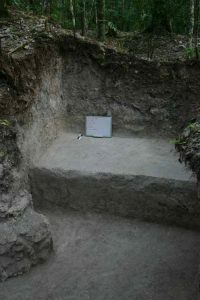 The San Bartolo Archaeological Project, Guatemala. 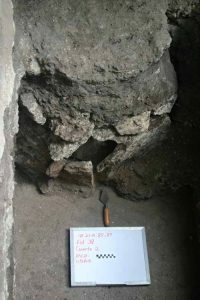 The Reuse of a Late Preclassic Residential Group at the Maya site of San Bartolo, Guatemala PhD in Archaeology and Anthropology. Tulane University, New Orleans. Advisor: Dr E. Wyllys Andrews V.
Director: Dr William Saturno, University of Boston. Proyecto Arqueologico Norte Chico Survey, Peru. Locating and recording prehistoric sites. Director: Dr Kit Nelson, Tulane University. Trained volunteers in archaeological field methods. Director: Dr Cynthia Herhahn. University of New Mexico. Excavations at a Late Prehistoric Taino ballcourt and cave site. Director: Dr Jose Oliver. Institute of Archaeology, UCL, London.